ISRAELI POLICE HAVE said they are recommending Prime Minister Benjamin Netanyahu’s indictment for bribery, fraud and breach of public trust following long-running investigations into two cases of alleged corruption. Police issued a statement describing the recommendations, which will now go to the attorney general, who is expected to take weeks or months to decide how to move forward. 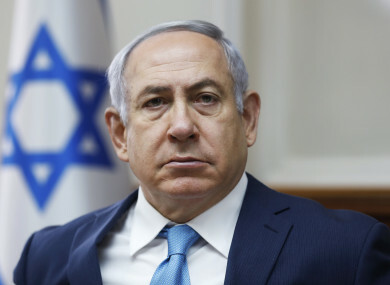 Various Israeli media have reported that police had informed Netanyahu’s lawyers that they were recommending his indictment in both corruption cases involving him that they have been investigating. Police have been investigating Netanyahu over suspicions that he received expensive gifts, including pricey cigars, from wealthy supporters such as Hollywood producer Arnon Milchan and Australian billionaire James Packer. His wife allegedly received bottles of pink champagne. The gifts were reportedly worth some tens of thousands of dollars. Police have also been probing allegations that Netanyahu sought a secret deal for favourable coverage with the publisher of top-selling newspaper Yediot Aharonot. Email “Israeli police recommend charging Prime Minister Netanyahu with bribery and corruption”. Feedback on “Israeli police recommend charging Prime Minister Netanyahu with bribery and corruption”.